Located just minutes from Jacksonville you will find this gorgeous 3100+ heated square foot single story home with a two-car side entrance garage and all the bells and whistles. 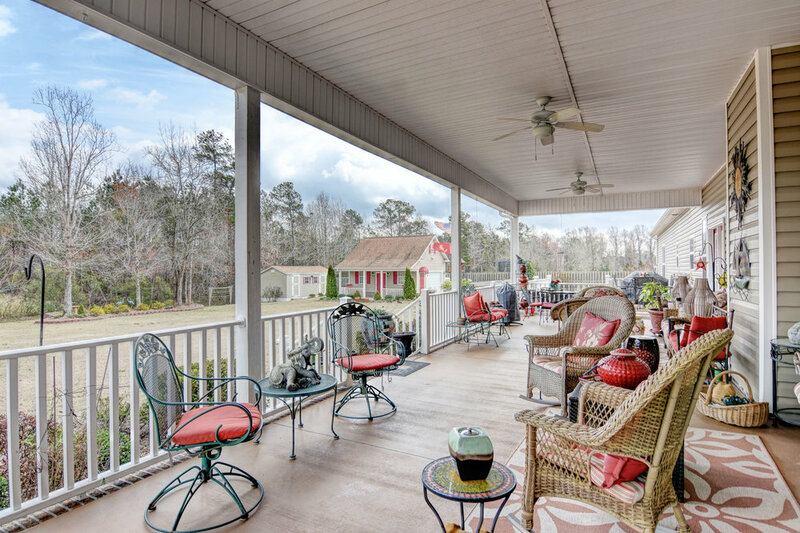 From the moment you drive up you will be amazed with the appearance of the home from the long drive way to the amazing from porch that just beckons you to enter. This home is absolutely breathtaking from the moment you walk in. You will notice that no detail has been missed. The stunning 8x10 foyer offers gleaming hardwood floors and is the perfect place to greet guests, friends and family. 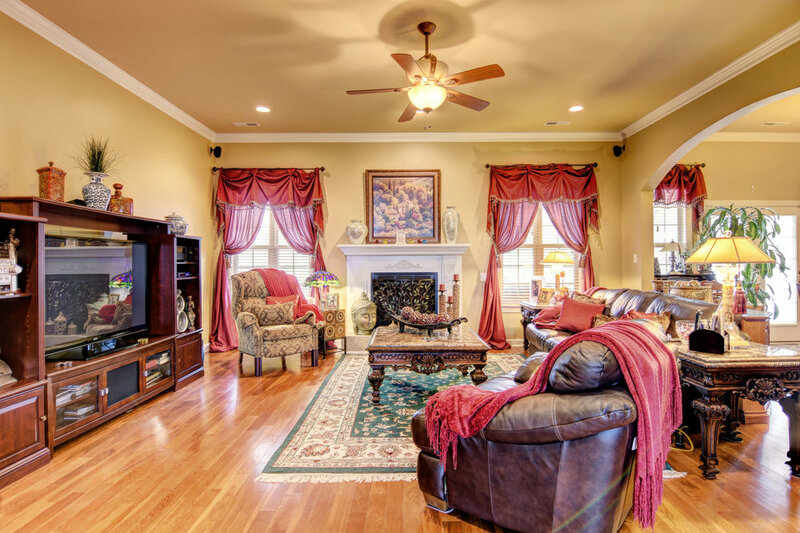 The 14x13 formal living room is located on the left with custom paint and trey ceiling. 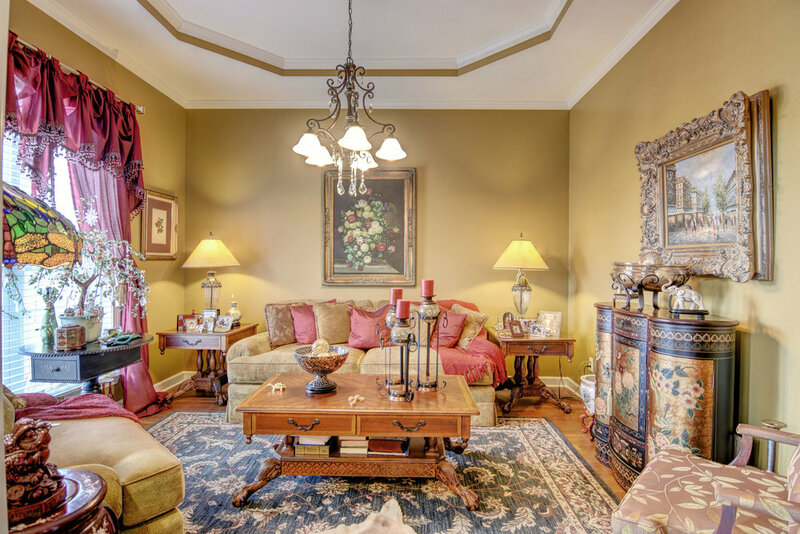 The formal dining room, located on the right, has columns that set it apart, gorgeous hardwood floors and is perfect for entertaining. 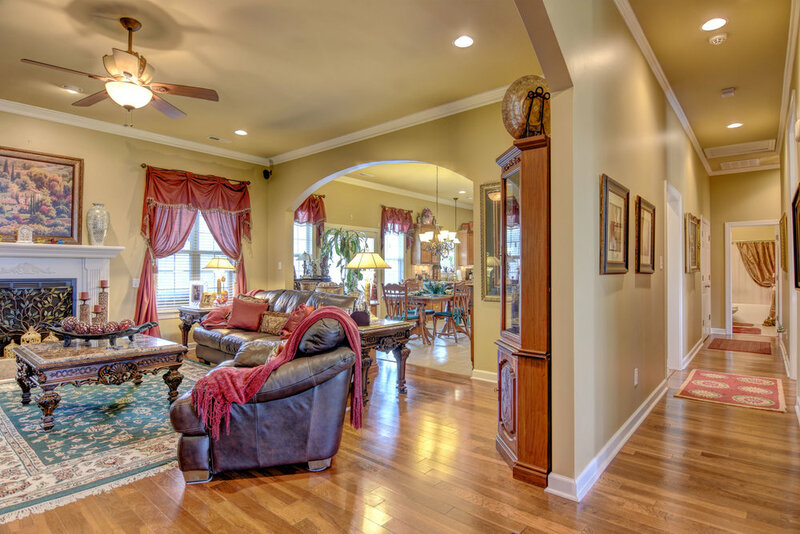 As you continue into the home you will enter the 19x20 family room through the curved archway adding an elegant touch. The family room offers a gas log fireplace, recessed lighting, upgraded light fixtures and leads into the amazing kitchen. 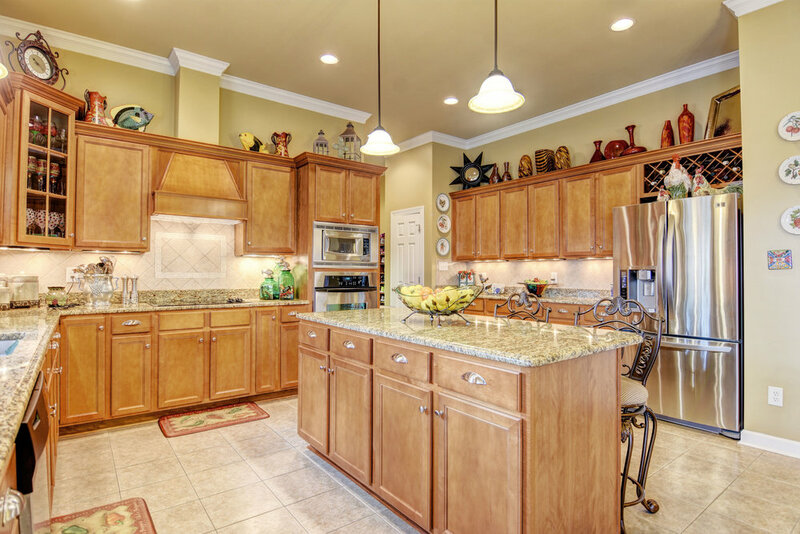 The 16x24 kitchen is a chef and entertainer's dream come true with tile floors, granite countertops, upgraded cabinets, stainless steel appliances, huge island, cooktop stove, built in oven, and huge pantry. The laundry room offers 2 closets, upgraded cabinets, a deep sink and a work station or make up station. The bonus room is located off the laundry room, tucked away,making it the perfect man cave, office, or game room your possibilities are endless. There are two guest rooms just down the hall from the kitchen. The first guest bedroom offers 2 closets one is a walk-in closet and one is great as a storage closet. The second guest bedroom is 13x14 with a walk-in closet. 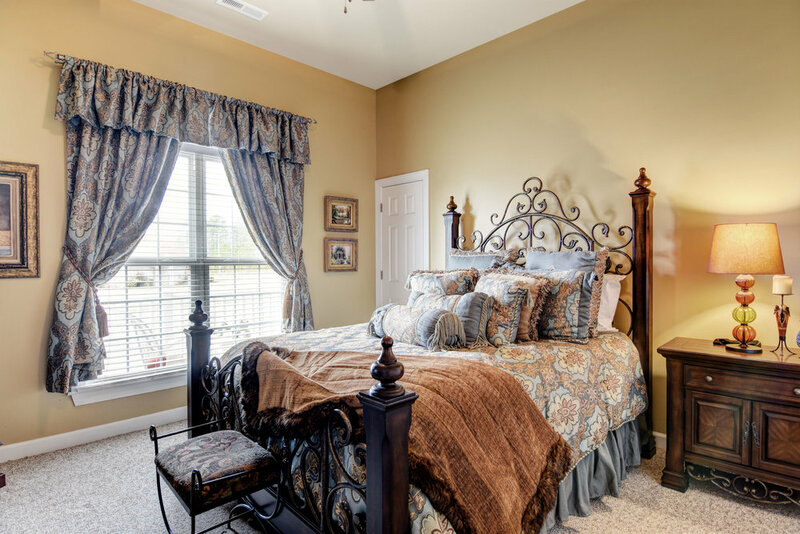 As you move down the hall to the opposite side of the home you will find the master suite that everyone dreams about. The room is huge 19x16 with a bay window and upgraded light fixtures. The master bath offers dual vanity sinks, jetted tub, custom tile shower, linen closet and a massive walk-in closet with shelving already in place. All this and we haven't even made it outside to appreciate the 15x50 covered patio with 3 ceiling fans and surround sound, the 15x20 deck, the 20x22 man-cave affectionately labeled the dollhouse because it has a covered front porch, the 12x24 wired workshop with built in shelving, a ramp to make it easier to pull in the lawnmower, the custom built fish-cleaning station located behind the shed with a stainless steel sink and drainage system to make clean up easy and the fully landscaped 1.67 acres. 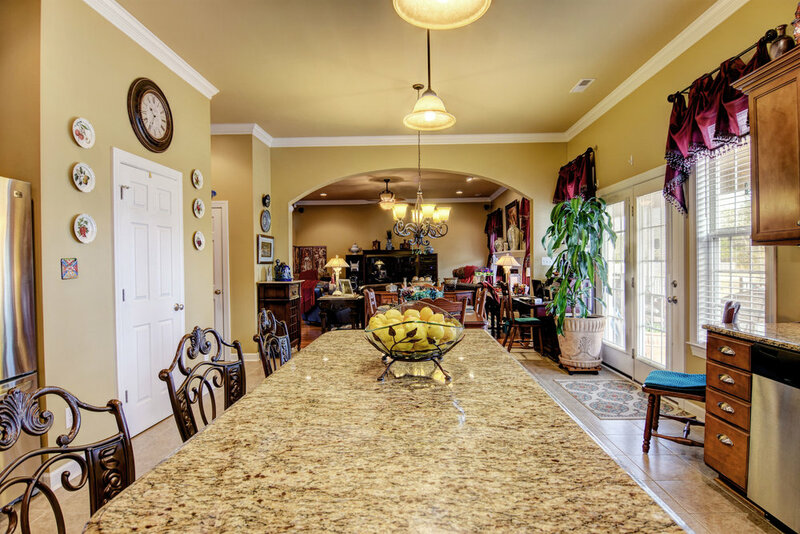 This is a one of a kind home and you will not be disappointed. Make sure you call to schedule your tour today.